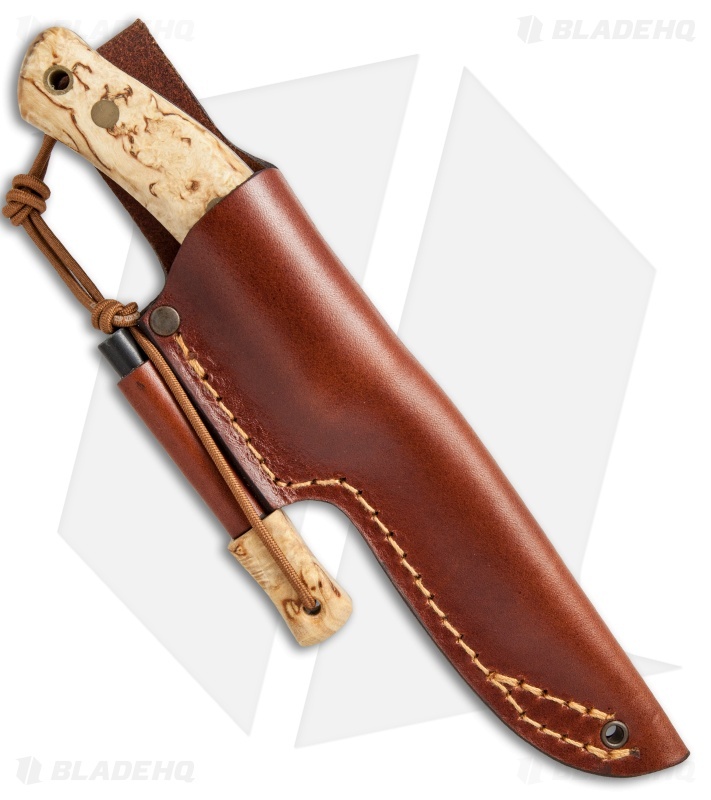 The Casstrom No. 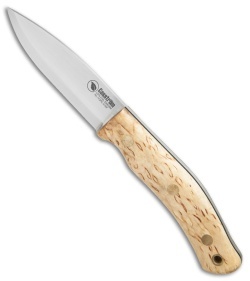 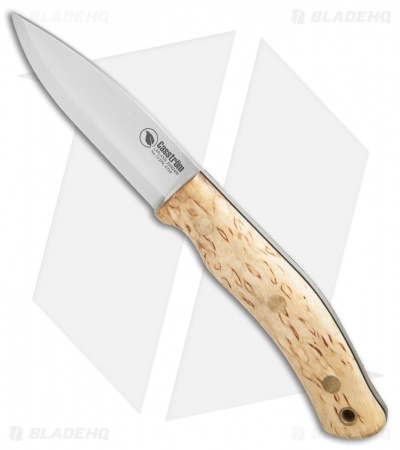 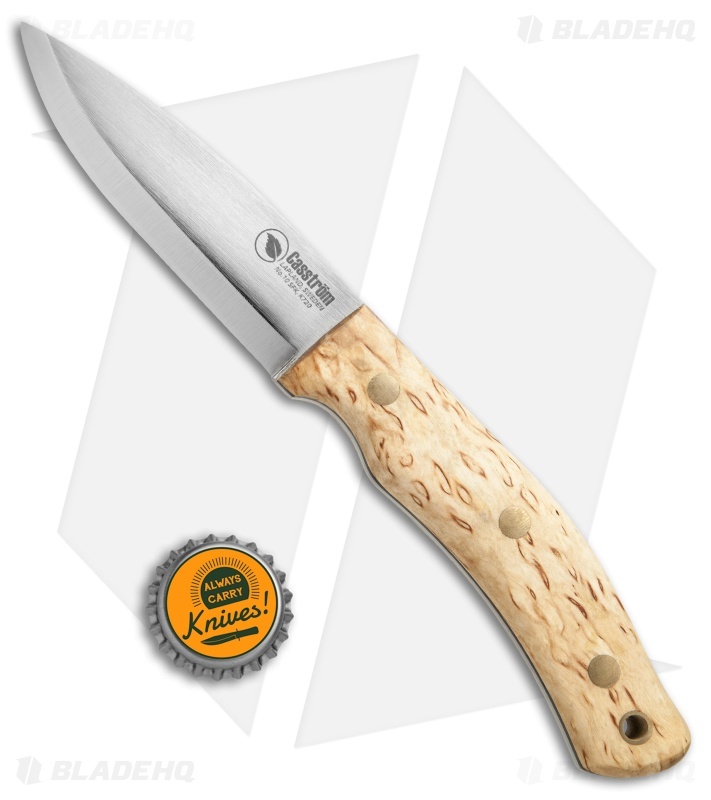 10 SFK (Swedish Forest Knife) is a strong all-round fixed blade for hunting, fishing, and general outdoor use. It features a full-tang blade made from Bohler O2 carbon tool steel with a Scandi grind and satin finish. 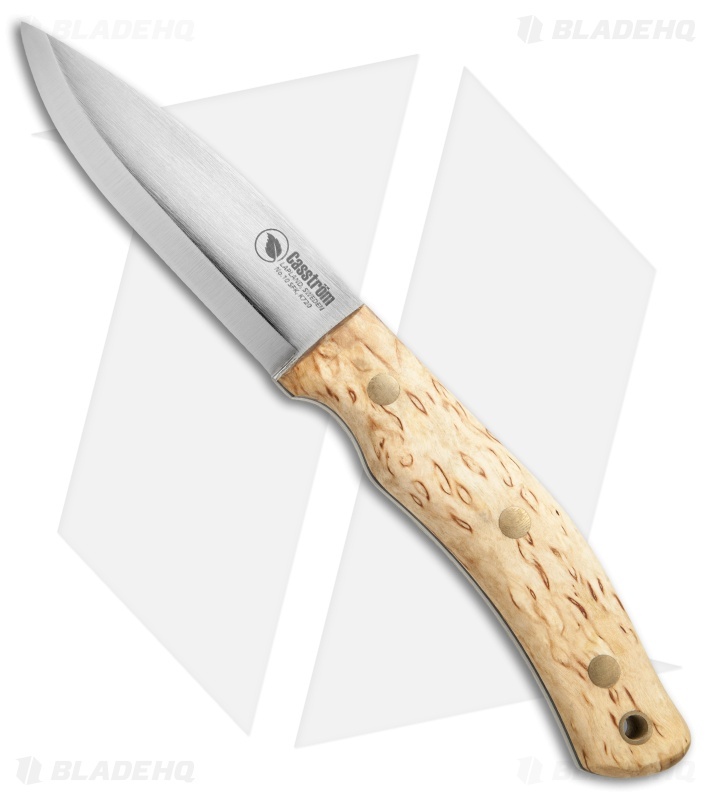 This model has a Curly Birch wood handle shaped for optimum comfort and security during use. 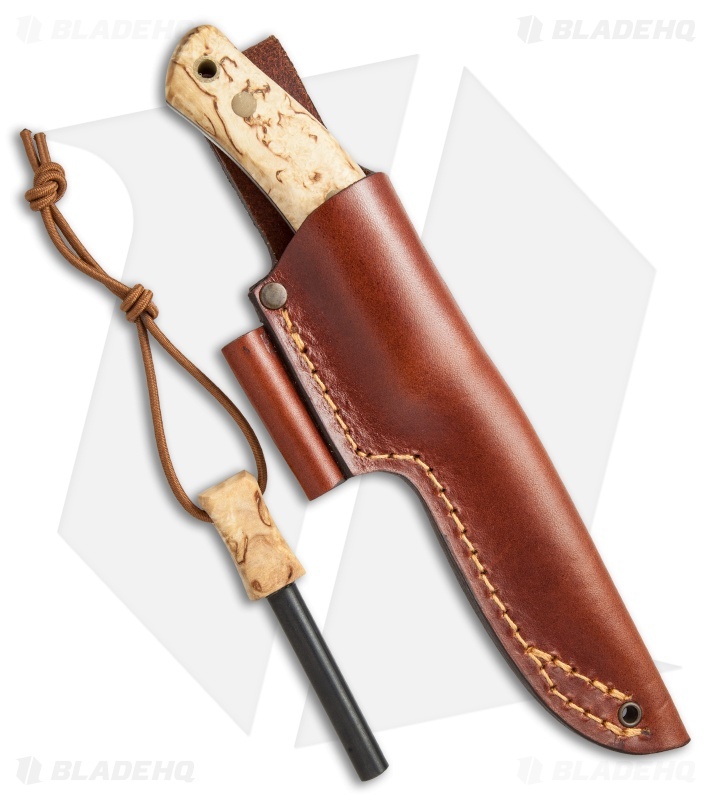 Includes a sturdy belt sheath made from vegetable tanned leather and firesteel.